Standing 25 storeys, this is the inaugural tower in a development that will eventually house five buildings and a public park. Featuring a range of floorplans and a finely-curated roster of luxe amenities, this stylish condominium is a long-anticipated addition to the neighbourhood. Get ready for a new luxury high-rise coming soon to Vaughan Mills. 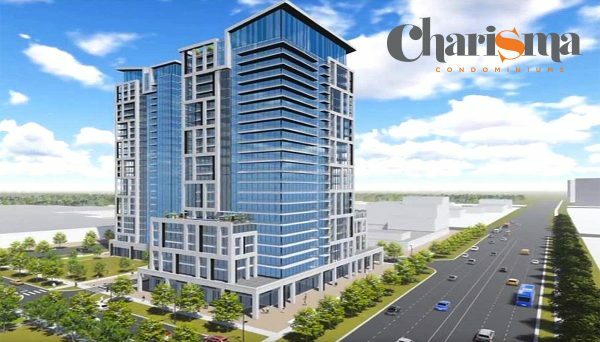 Charisma Condos, by Greenpark Homes, will welcome occupants in 2021. 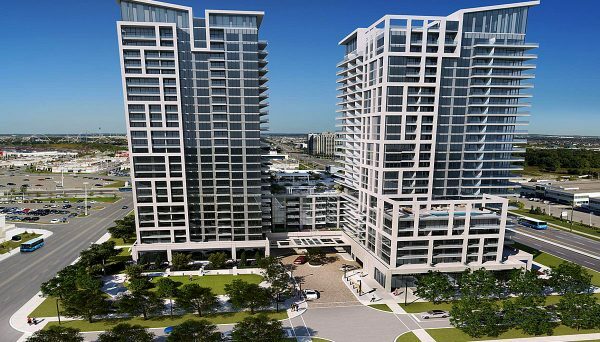 The developers are taking advantage of a prime site at Jane Street and Rutherford Road, just steps from the expansive Vaughan Mills retail hub and minutes from the rapidly-growing Vaughan Metropolitan Centre. Elegantly designed, the development's first tower is sure to add style and cosmopolitan appeal to the growing neighbourhood. At Charisma Condos, you'll be greeted by a porte cochere driveway leading into a light-filled lobby and wifi lounge. On the ground floor you'll also find a theatre and games room, a pet grooming station, bocce courts and billiards, along with an expansive dining room for entertaining large parties. Head up to the 7th floor, where you'll find an outdoor pool and wellness centre. Complete with a fully-equipped gym, a yoga studio and a serenity lounge, it's the perfect place to start or end your day. An expansive outdoor terrace with a sparkling outdoor pool and private lounge area gives this Vaughan condominium a resort-inspired feel, where the transition between indoor haven and outdoor oasis has never been easier. You'll also love the rooftop sky lounge, which features elegant dining and lounging space, along with full kitchen facilities. Rivalling some of the city's best clubs, the sky lounge offers spectacular views in a glamorous setting. Suites will range from 540 square feet to 1,439, with a selection of one, two and three bedroom layouts. Many come with dens or flex spaces, designed for functional, adaptable living. Vaughan has traditionally been one of the GTA’s fastest-growing municipalities and the trend continues with the TTC subway line’s plan to extend to Jane and Highway 7, just minutes away from the building. Hundreds of young families, executive professionals and mature couples looking to downsize are looking for a space to call home in this flourishing part of the GTA. For lovers of greenspace and recreation, the Kortright Centre for Conservation, 325 hectares of pristine woodlands, is minutes away from this Condos, along with the National Golf Club of Canada. Two of the area’s major attractions, Vaughan Mills, which is one of Canada’s largest shopping centres, and Canada’s Wonderland, the nation’s most popular amusement park, are also nearby. This new condominium is a great option for commuters, with easy access to major highways, while public transit stops just outside the front door. This part of Vaughan is home to numerous corporate headquarters, industrial plants and small to mid-sized businesses. Come see what it’s like to be part of all the action Vaughan has to offer. 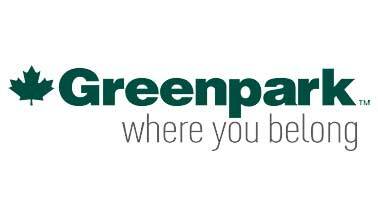 Greenpark has been an established player in the GTA’s real estate and development industry since 1967, helping over 50,000 families invest in quality real estate. Their portfolio includes lavish homes, upscale townhouse communities and luxurious metropolitan condo towers, like this one.